Okuninushi is a divinity in Japanese Shinto. His name literally translates to "Great Land Master", and he is believed to be originally the ruler of Izumo Province, until he was replaced by Ninigi. In compensation, he was made ruler of the unseen world of spirits and magic. 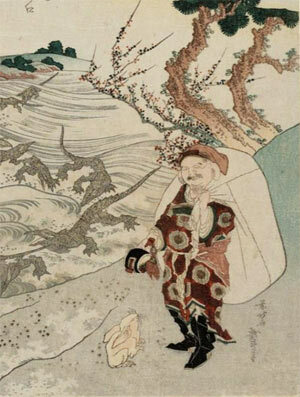 He is believed to be a god of nation-building, farming, business and medicine. In earlier times, the Moirae were represented as only a few - perhaps only one - individual goddess. Homer's Iliad speaks generally of the Moera, who spins the thread of life for men at their birth (xxiv.209) or, earlier in the same book (line 49), of several Moerae. In the Odyssey (vii.197) there is a reference to the Klothes, or Spinners. At Delphi, only the Fates of Birth and Death were revered. In Athens, Aphrodite, who had an earlier, pre-Olympic existence, was called Aphrodite Urania the 'eldest of the Fates' according to Pausanias (x.24.4).The Moirae existed on the deepest European mythological level. It is difficult to separate them from the Norns, the similar age-old fates, older than the gods, of a separate Indo-European tradition. Despite their forbidding reputation, Moirae could be worshipped as goddesses. Brides in Athens offered them locks of hair and women swore by them. They may have originated as birth-goddesses and only later acquired their reputation as the agents of destiny. 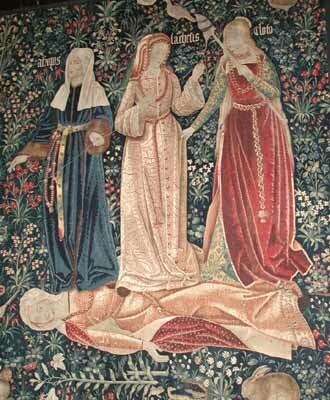 The three witches encountered by Macbeth are loosely based on the Moirae.